What kind of event are you hosting? Loretta provides music, entertainment and atmosphere for all occasions. Need two or more musicians? Whether fiddling or singing, Loretta is quite at home entertaining a crowd. She uses a variety of instruments such as violin, guitar, whistles, and more to complement the music style. The warm quality and essence of Loretta’s radiant voice easily connects an Irish or Scottish or American song with the homeland roots. She possesses that unique ability to speak directly to the heart, delighting listeners of all ages. Loretta’s music and entertainment are unsurpassed and distinctively genuine. Loretta joins other first-class professional musicians to become Loretta Thompson and The Heritage Band, a powerful entertainment package that can’t be beat! Loretta, lead vocalist and fiddler, is joined by excellent multi-faceted musicians on guitar, bass, keyboards, and drums. All have broad musical backgrounds in many styles. A top show band sure to complete your memorable event. Two to five pieces. Blending vocal and instrumental harmonies, together they create one of the most exciting Celtic sounds heard anywhere! Elegant or casual, in a cathedral or on a mountainside, Loretta will help your dream wedding come true with music to create memories to last a lifetime. She will guide you in choosing music and song personalized to fit your ceremony and reception needs. Whether performing as a soloist, with an ensemble, or with a Celtic dance band, she will make music an integral and memorable aspect of your perfect wedding. Tasteful and respectful, Loretta’s music honors the wishes of the family in vocal and instrumental music chosen to honor, celebrate, and commemorate the life of your loved one. As a soloist or with other musicians, Loretta can offer high energy concert and field performances in authentic musical styles. From Celtic music of Scotland and Ireland to American historic tunes and songs, she delights audiences everywhere. Need an exciting dance band? Loretta has many years experience arranging and composing music for several Celtic dance forms. These include Scottish Ceilidh Dancing, Irish Ceilí Dancing, Scottish Country Dancing, Irish Step Dancing, and Highland Dancing. She and the band are available for wedding dances, regional dances and ceilidhs, as well as large formal balls. Are you looking for an unforgettable party? Let Loretta’s music turn this into a magical time for you. Whether it’s an intimate gathering, corporate function, or a large reunion, her infectious spirit will create a unique party mood. You buy, she’ll fly! Sponsor a house concert! You provide the space, invite guests, handle reservations and donations, and Loretta provides the entertainment. Add catered dinner, pot-luck, or snacks, to make this a one-of-a-kind night to remember. A wide variety of programs are available: school assemblies, string clinics, fiddling workshops, classroom enrichment, and after school activities. 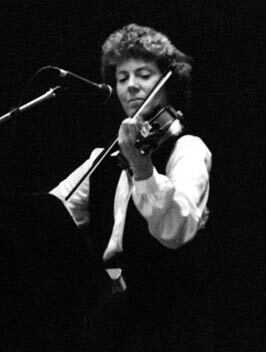 Loretta uses the fiddle, guitar, autoharp, whistles, flutes, banjo, and bodhran drum to demonstrate all types of tunes and rhythms used in traditional music. Celtic music includes many types of tunes from Ireland and Scotland. Loretta explains how American traditional music developed from a diverse combination of these cultures and more. Students participate in learning about the history of the instruments, the language, the clothing, the people, and the music. Student participation in week long music camps provides a more hands-on experience for a deeper understanding and growth. Promoting and preserving the traditional music heritage of Scotland, Ireland, and America has been my passion for many years. I provide hands-on string workshops that encompass several Traditional Fiddling Styles: Irish, Scottish, Celtic (blend), and American Old Time. My teaching experience includes being a full time middle school orchestra director and a substitute K-8 music teacher. Initially I learned fiddling from many older musicians in the realm of traditional music. Later I returned to Metropolitan State College of Denver to concentrate on music education and conducting. I am currently a full time entertainer, private studio teacher, Evergreen Chamber Orchestra member, and an instructor for Rocky Mt. Fiddle Camp in Colorado. Hands-on workshops are designed for string orchestra players, students to adults. Three levels of instruction are offered. Clinics are available for string classrooms and school orchestras. Private lessons may be available to workshop participants. LEVEL 1: Specifically designed for string players who have studied their instruments for 1 to 2 years, are reading music and have learned at least 3 sharps in first position. Easy versions of traditional fiddle tunes are taught in this group. LEVEL 2: This is an intermediate-level group. String students need to have mastered basic playing skills including 2-octave scales. Common traditional tunes in major and minor keys with customary bowing techniques are introduced. LEVEL 3: Advanced string players who can read and perform standard orchestral repertoire. Stylist differences of genres and a variety of tune types are played and discussed. Workshops are specifically designed for string players, however, music can be provided for some wind instruments. Loretta’s music is enriching, invigorating, uplifting, healing, and just plain fun for seniors in all living styles! Music is a blessing, and she believes that it helps improve the very quality of life. Loretta’s highly interactive performances provide a connection between the memories of the past and the present for her listeners. Scottish and Irish music are her entertainment specialty. Let Loretta provide a delightful exchange of music and song before, during, and after your national or regional event. Does your clan cherish a special song or tune? Loretta can make it the highlight of the event. Looking for just the right entertainment for Burns Night? Want an unforgettable ceilidh? Loretta can help you make it happen! Loretta uses thematic music to enhance these events. Her knowledge of composers, music history, instruments, songs, and performance skills will turn these occasions into very unique musicological experiences. Loretta plays authentic period music from different eras to bring history alive. Her knowledge of composers and their songs, combined with dance caller will make for a most memorable vintage dance. Loretta’s music will provide the ambiance to match the location and fare - with musical entertainment to vanquish the pressure of the day and celebrate whatever the occasion.